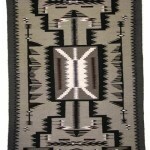 This handwoven Zapotec Mexican rug is 100% wool and a finer Zapotec weave, replicating the classic Yei Navajo rug. 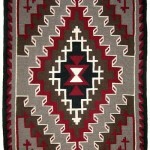 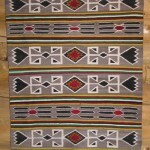 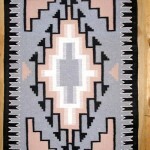 The traditional Navajo Yei rug customarily incorporates bright, bold hues; a dozen or more colors may be used. 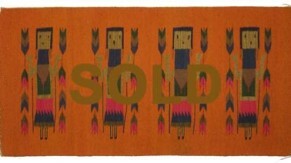 Yei are deity and the figures are tall and slender and bearing ceremonial embellishments. 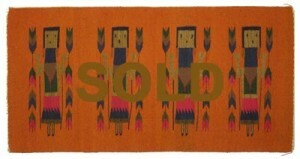 Their postures are upright, faces are outward, and expressions are stiff. 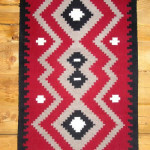 Additional designs in a Yei Navajo rug may include intervening cornstalks or arrows.